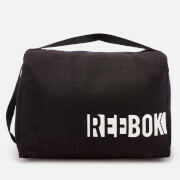 Crafted in a lightweight yet durable material, the ‘Active Foundation’ duffel bag from Reebok sports twin top handles and an adjustable shoulder strap for comfortable carrying. 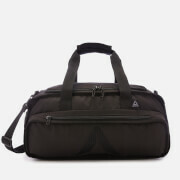 Fastening with a top zipper, the bag presents a spacious interior, while two zipped outer pockets offer extra storage. Printed branding completes the design. 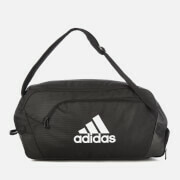 Dimensions: H: 23cm x W: 40cm x D: 24cm. Handle Drop: 17cm. Strap Drop: 50cm.